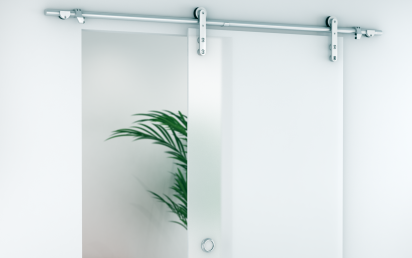 With 304 stainless steel, strap fixings and exposed rail design, Brio’s new Open Round Rail system is an exciting new system for any home or office application. 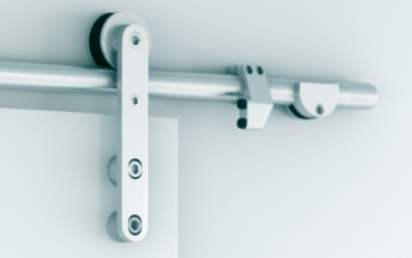 Suitable for toughened glass panels of 5/16″, 3/8 and 1/2mm up to 220lbs. The sealed precision bearing and nylon inlaid tyre ensure high performance and smooth operation every time. 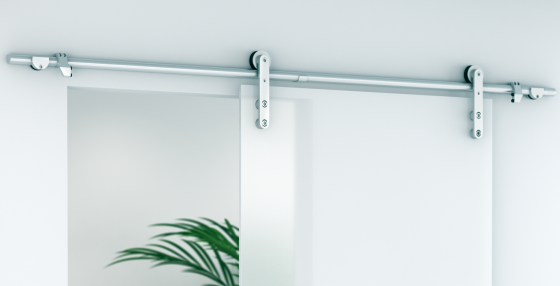 The versatile, stainless steel guide suits for all 3 sizes and adds to the minimal appearance achieved with this system.